Brisbane's competitive apartment market is proving a catalyst for young buyers to take their first step on the property ladder with thanks to the First Home Owner Grant and historic low interest rates. Mint Residential Principal Alex Veal said the young buyers were part of a new wave of sales and interest from first home buyers, as market conditions aligned to make it an ideal time for them to buy. "Young buyers are taking advantage of supply levels in Brisbane to secure an apartment at great value," Mr Veal said. "At the same time, the increased First Home Owner Grant to $20,000 and stamp duty concession under $500,000 means they can purchase a new property with minimal savings and lock in an interest rate at circa four per cent to give them certainty in payments at the front end of their mortgage. "When you add all those factors together, there really has not been a better time for purchasers to enter the market for some time - and they are increasingly recognising this. "SEQ Investment Group saw this trend first hand as ‘first home buyers’ made up more than 60 per cent of the recent buyers at their residential development ‘Vantage Lutwyche’. Hasitha Samaratunga, a 26-year-old business systems advisor, said he had been saving his deposit for six years before securing a two bedroom, plus living, apartment at Vantage Lutwyche. 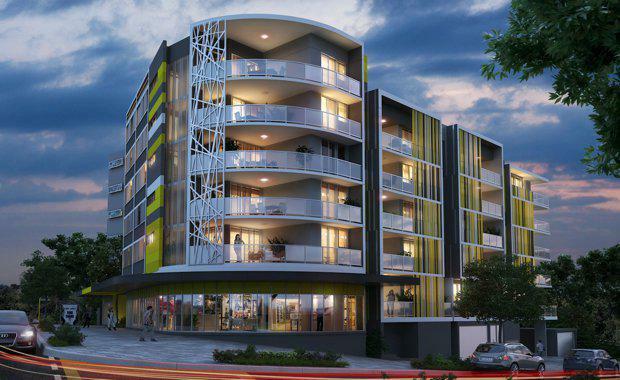 Vantage Lutwyche features a total of 55 one and two bedroom apartments across six residential levels, including a 160sqm roof terrace and pavilion with city skyline and suburban views, just five minutes from the Brisbane CBD in the central suburb of Lutwyche. Those who purchase at Vantage Lutwyche also receive the additional bonus of a 'lifestyle package' including a year's supply of coffee at local cafe Coddle and Co., an annual gym membership and quality blinds package to complete their new apartment.